Organized by Adsale Exhibition Services Ltd, the 23rd China International Exhibition on Packaging Machinery Materials (Sino-Pack 2016), will he held March 2-4, 2016 in Guangzhou, China. With the technological advancement in China becoming increasingly sophisticated, the packaging machinery industry, being a key industry of China as well as rest of the globe, has become one of the fastest growing industries of the country. The coming show will be moved to Area B at China Import and Export Fair Complex, increasing the show area to over 46,000sqm. 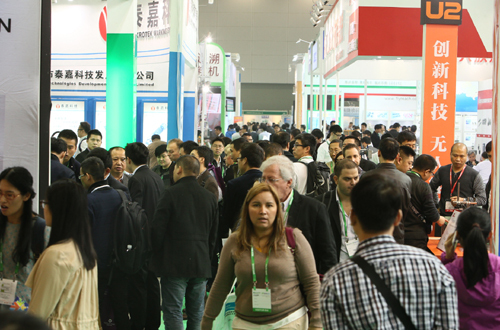 More than 600 exhibitors from over 20 countries and regions are expected to participate in Sino-Pack 2016, including the US, UK, Germany, France, Italy, Belgium, Sweden, Switzerland, Japan, South Korea, Malaysia, Singapore, Indonesia, Taiwan, Hong Kong and China. Adsale expects an attendance of over 40,000 for the show. According to the organizer, Sino-Pack 2016 will be divided into four core pavilions: Automated &amp; Intelligent Packaging Solutions, Liquid Packaging, Plastics Packaging and General Packaging, offering a complete platform for sourcing the latest packaging technologies. Renowned global and domestic exhibitors include robots supplier ABB, Fanuc and Kuka; food packaging machinery maker Mettler-Toledo and Techlong; liquid packaging expert Vanta, Yuedeong and Huito; as well as plastics packaging technology supplier Acmeplas, Arburg and Winstar, to name but a few. The concurrent event, China (Guangzhou) International Exhibition on Packaging Products 2016 (PACKINNO 2016), will again be held. It is recognized as China’s largest trading platform for green and innovative packaging products and materials such as paper, metal, plastics and textile, as well as displaying exhibits servicing to specific purposes, such as functional packaging, luxury high-end packaging, and design services.